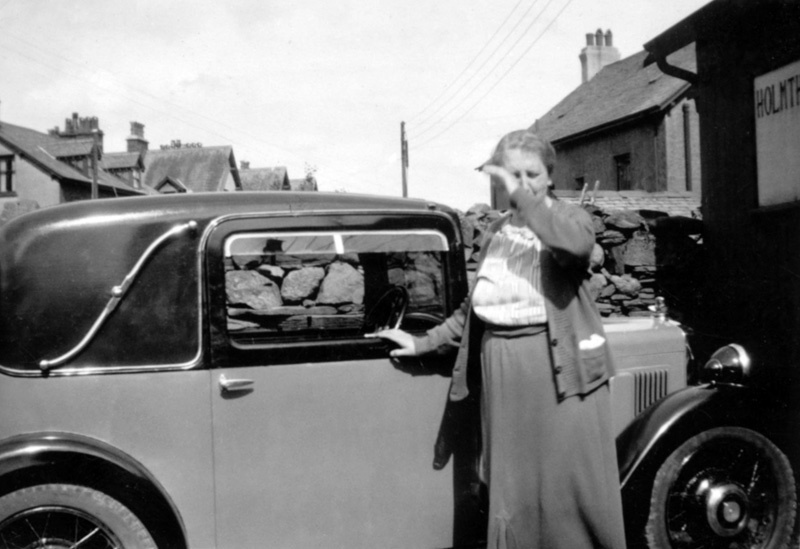 There is almost nothing to commend this photograph in that the subject’s face is obscured by her hand and the car’s identity will forever remain unknown due to the angle of the shot. Despite that, there is still plenty to be gleaned from the image. It was almost certainly taken prior to 1950 as the rooflines are yet to be disturbed by television aerials while the car is undoubtedly a 1932 season Morris Family Eight Sports Coupe, (to give it its full title), note the sidelights and calormeter. The photograph was taken in Holmthwaite in what is now Cumbria, the sign on the wall providing the clue, confirmed by its listing on eBay from whence it was purchased. Just another small piece of Minor history to add to the archive.